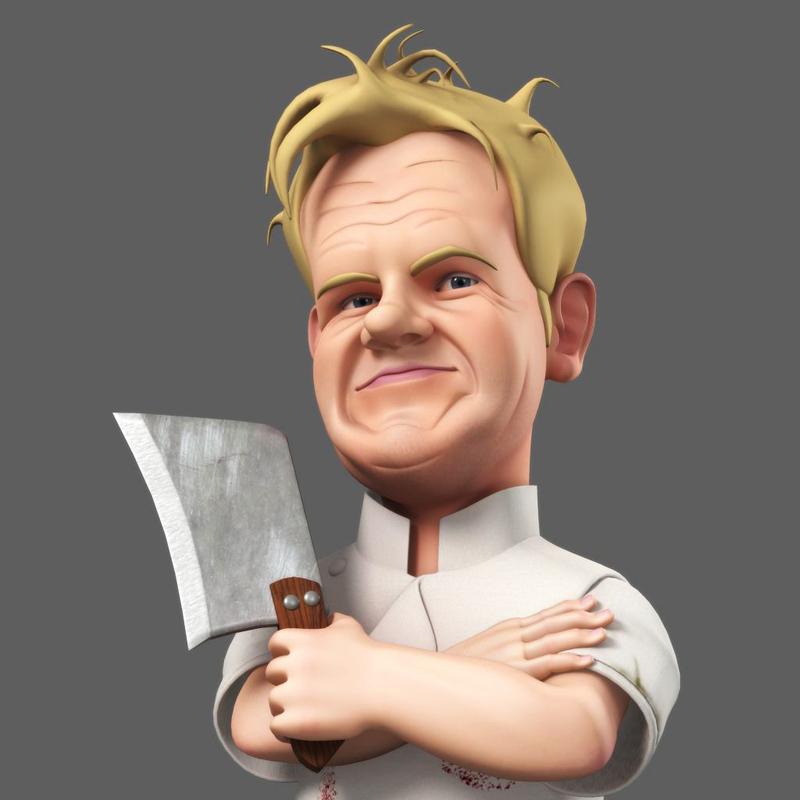 I was asked to do this model as a Maya tutorial for www.simplymaya.com of the famous foul tempered chef Gordon Ramsey, because of the character work I'd done on ITV productions' Headcases tv show. I googled a few images of Ramsey to produce caricature sketches of him in front and profile view along with a body. I then modeled the entire thing in Maya and then gave it some 'light' textures - all of which were done in Photoshop.